May 4 2018 (IPS) - When I visited South Sudan last year, I heard story after story about health professionals and humanitarian workers being prevented from doing critical work. Government officials regularly increased fees for nonprofits trying to alleviate the effects of conflict, stopped humanitarian convoys from delivering life-saving supplies, and erected bureaucratic obstacles designed to impede access to civilians in need. These are just some examples of obstacles the South Sudanese government has created to prevent humanitarian workers from doing their vital work in a conflict zone. Government officials – and the opposition – have blatantly denied humanitarian aid, preventing civilians from accessing essential services and NGOs from functioning. This strategy is being used as a war tactic, and contributing to the spread of disease, injury and death. The government has succeeded in shrinking humanitarian space and making a harrowing situation for civilians even more miserable. Humanitarian organizations always do important work, but in South Sudan, their work is indispensable, as it has gone well beyond the traditional mandate of providing emergency health assistance. In a new report, Watchlist on Children and Armed Conflict found that in 2016 and 2017, there were at least 750 incidents involving denial of humanitarian access, many of them committed by government authorities. In dozens of interviews with health, humanitarian and NGO workers I conducted in South Sudan and neighboring Uganda, I heard about many disturbing steps the government has taken to block access for humanitarian workers and NGOs. In recent years, I have investigated denials of humanitarian access in many conflict zones, including Afghanistan and Yemen. But the extent to which this is happening in South Sudan is far beyond anything I have seen. In March 2017, for example, the government increased work permits for foreigners from $100 to a staggering $10,000. Two months later, it increased registration fees for international NGOs, from $2,000 to $3,500. Government officials have also interfered in the recruitment of NGO staff by reviewing candidate lists and even sitting in on interviews and vetoing choices. They have frequently changed license and registration requirements, making it difficult for NGO staff to travel for work. All this is taking place in a country that is in desperate need of humanitarian aid. 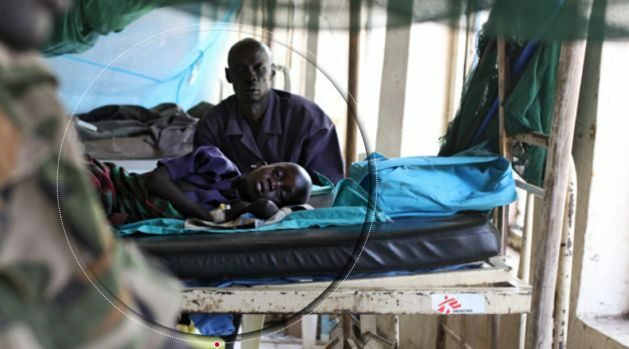 As of December, at least 20 percent of South Sudan’s 1,900 hospitals had closed, and about half were functioning with extremely limited capacity, according to the UN Office for Coordination for Humanitarian Affairs (OCHA). Warring parties were responsible for at least 50 attacks on medical facilities in 2016 and 2017 – another part of the war strategy and a vicious way to prevent civilians from accessing care. As a result, malnutrition, cholera and famine are gripping parts of the country. The strategy behind these actions is clear – it is part of the war arsenal. The government has succeeded in shrinking humanitarian space and making a harrowing situation for civilians even more miserable. Humanitarian organizations always do important work, but in South Sudan, their work is indispensable, as it has gone well beyond the traditional mandate of providing emergency health assistance. Since 2013, humanitarian organizations have provided up to 80 percent of all health care services in the country, according to OCHA. As is often the case in conflict zones, children and women are disproportionately affected by these war tactics. Of the four million people who have been displaced, children and women make up to 85 percent of this number, according to OCHA. At Watchlist, we are calling on South Sudanese government to uphold its obligations to allow for unimpeded humanitarian access. A dedicated independent body should be established to investigate incidents of denials of humanitarian access, and all procedures for humanitarian and NGO workers should be made consistent and transparent. Even in wartime, there are rules to be followed. They are designed to limit the impact of conflict on children, women and civilians at large, and allow the most vulnerable to access humanitarian assistance. The government of South Sudan has shamelessly violated these rules and gone out of its way to endanger the lives of its own citizens. The international community must take immediate action to end this insidious tactic of war that has had devastating consequences for the children of South Sudan.